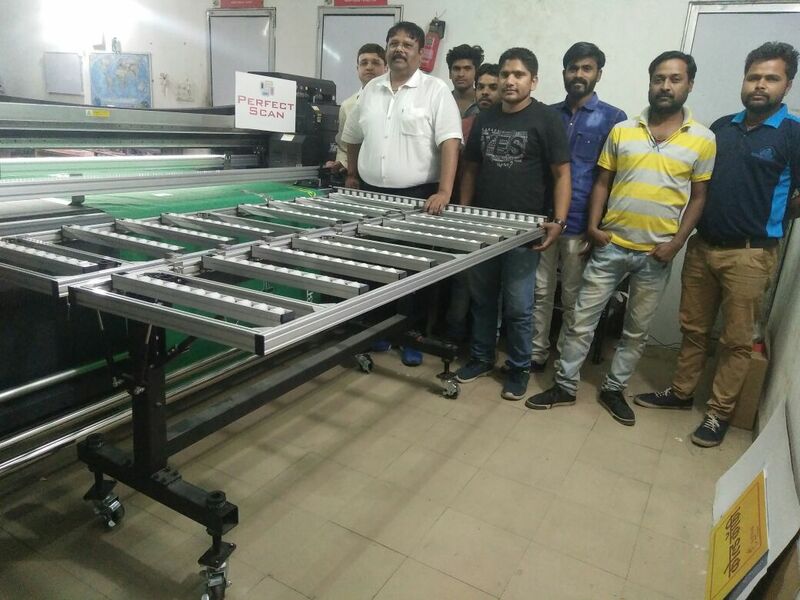 Mumbai-based Apsom Technologies, one of the leading importers and dealers of a range of wide-format printers in India, has installed Sovikaa MICRO 2000 UV hybrid printers at Perfect Scan in Indore and Ink Gurus Graphics at Ram Mandir, Mumbai. Installations of the new UV hybrid printers have improved the overall production volume and print quality of both the signage companies. Sovikaa MICRO 2000 is a heavy duty hybrid UV printer which can print on both roll and flat materials. The printer is supplied by XENONS from China to Apsom Technologies in India. The variable dot printing technology of Sovikaa MICRO 2000 creates smooth colour tone and less graininess. The printer is of 20 m width with optional ONYX software, and it features UV LED cold curing technology. Equipped with TOSHIBA grey scale printhead, Sovikaa MICRO 2000 prints with media movement on conveyer belt, capable to take media in roll form and flat material upto 100 mm height. Apsom Technologies ties up with various multinational companies from Japan, China, South Korea, Taiwan, Europe and others.